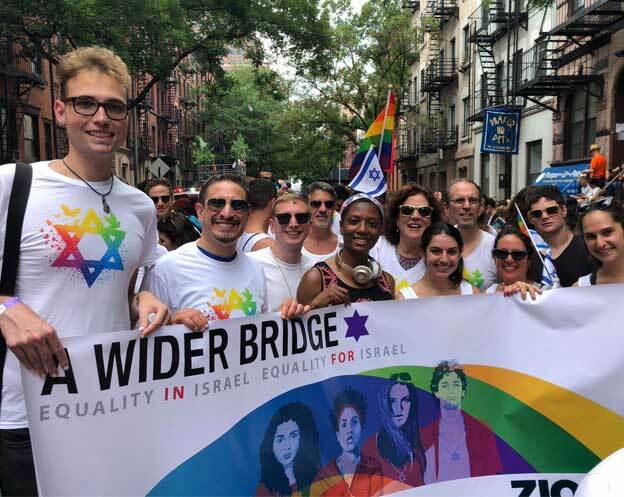 A Wider Bridge’s digital magazine is the global LGBTQ and allied community’s portal to learn, connect, support, and advocate for Israel and the Israeli LGBTQ community. Our tens of thousands of subscribers and followers – LGBTQ people and allies around the world – connect with us online to stay up to date on news, community, opinion, and the important work on LGBTQ rights coming out of Israel. By keeping the global LGBTQ community up to date with Israel and LGBTQ Israelis, we are all better positioned to support one another and advance our communities’ needs. Learn about A Wider Bridge, advancing “Equality In Israel and Equality for Israel” through engagement, advocacy, and philanthropy. Join us at an upcoming program near you. Follow us on Facebook, Instagram, and Twitter for daily updates. We want to hear from you. Email us here with your questions or reach out to our team.